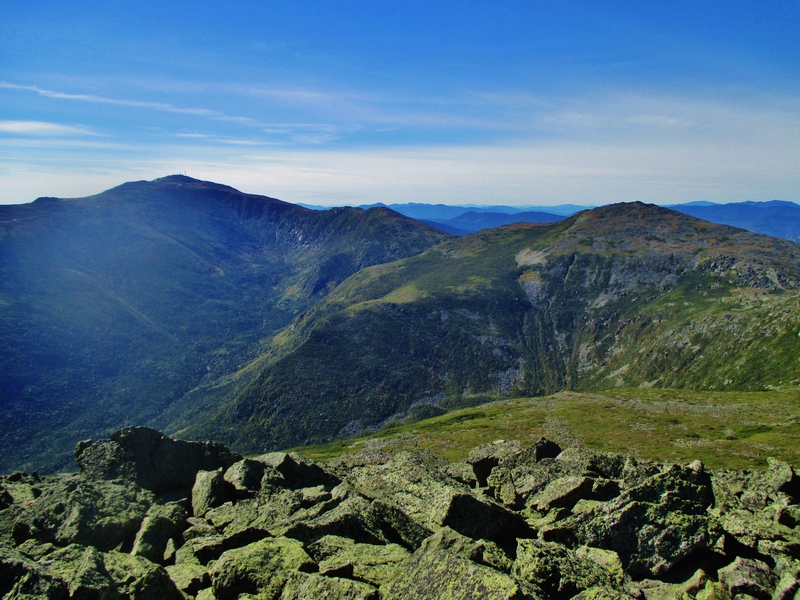 The Presidential Traverse has been on my bucket list for a long time, and it was my #1 hiking priority when I came up to New England for the month. After my failed attempt due to weather the week before, I spent some time debating whether or not to try again. 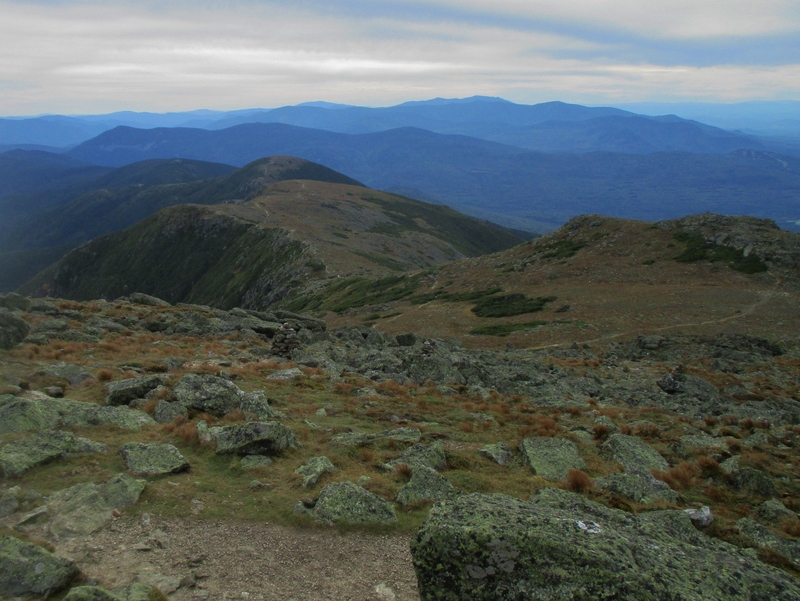 The problem was that I only had one possible day that worked with my ER schedule – 9/21/15 – and it was the day after my climb of Mt. Katahdin. It was also the first day of the year that the AMC shuttle wouldn’t be running, so I’d have to pay for another cab. I eventually decided to try for it anyway. 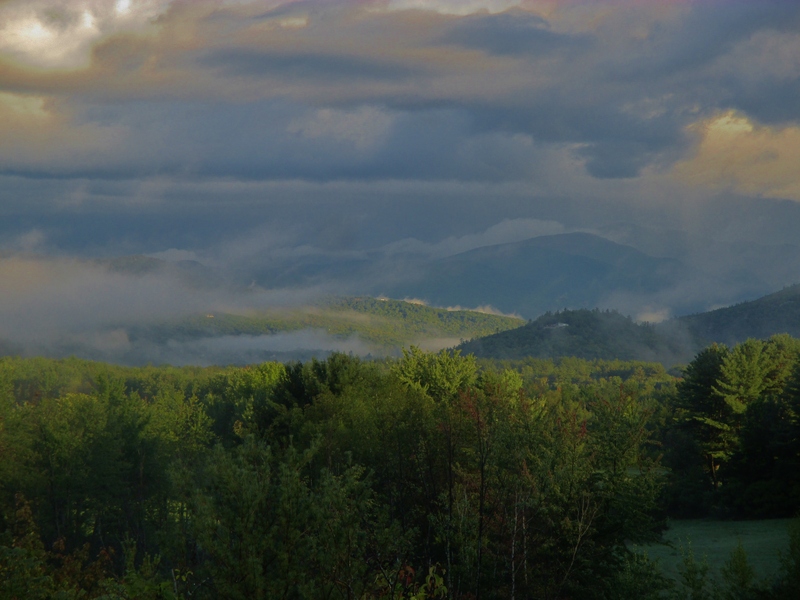 I woke up at 5:00 am to make the 2 hour drive to the White Mountains, and couldn’t believe how sore my left thigh was. I practically limped to my car, wondering how on earth I was going to manage 20 miles and 18,000′ of elevation change just one day after doing 12 miles and 8,000′ of elevation change. I was pretty sure I remembered smacking my left leg against a rock while crossing the Knife Edge on Katahdin…so I was banking on this being a bruise rather than an overuse injury. A bruise would likely get better while hiking, but tendinitis would only get worse. After catching a cab from the AMC Highland Center to the Valley Way trailhead, I started the climb up Mt. Madison (5,367′) at 7:30 am via the Valley Way trail and Watson Path. This was the exact same route I had taken the week before, and I was moving at a much more relaxed pace. Despite this, I made the summit in 2 hours 24 minutes…exactly one minute faster than the previous week. The key difference was the weather. 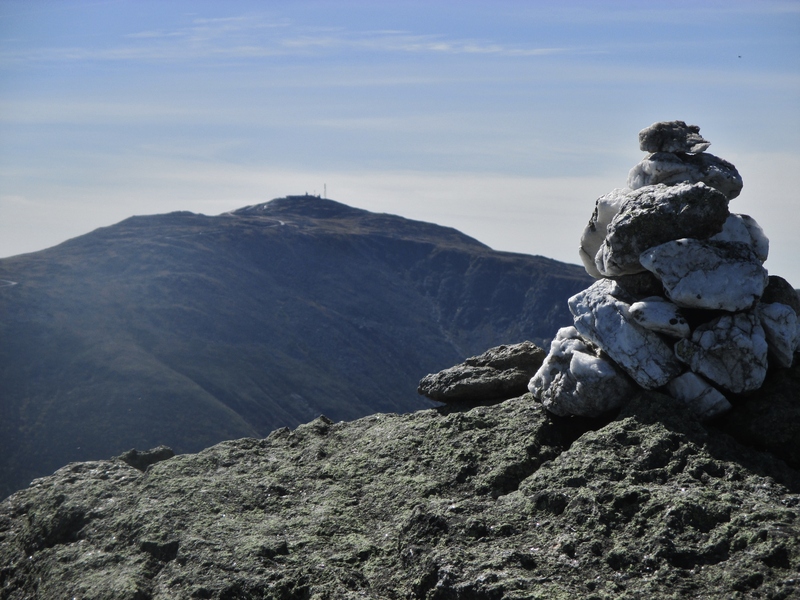 Rather than crawling on all fours above treeline (see last week’s post), the clear skies and gentle breeze meant I could hop easily from one rock to the next. After just a few miles of climbing, my sore leg stopped bothering me. From Mt. Madison, I descended to Madison Hut to refill water and inhale a protein bar before starting up Mt. Adams (5,793′). As an optional add-on, Mt. 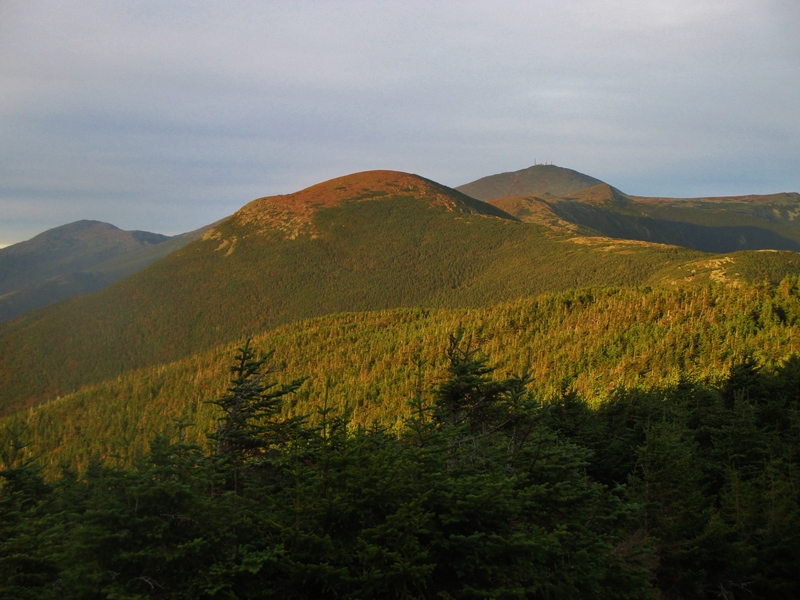 Adams is flanked by several smaller sub-peaks (Mt. Quincy Adams, Mt. Sam Adams, Mt. Abigail Adams). 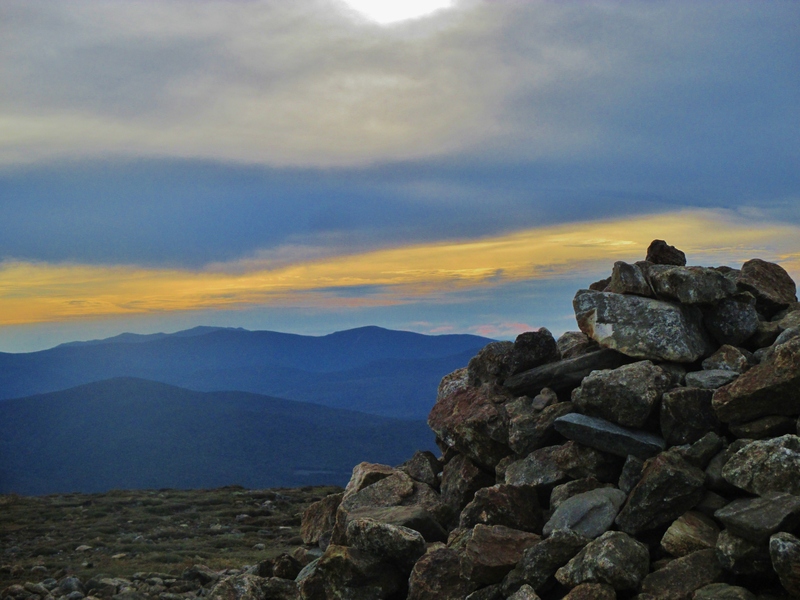 Since I was feeling good and making decent time, I opted to climb Quincy Adams (5,394′) and Sam Adams (5,489′). From Mt. 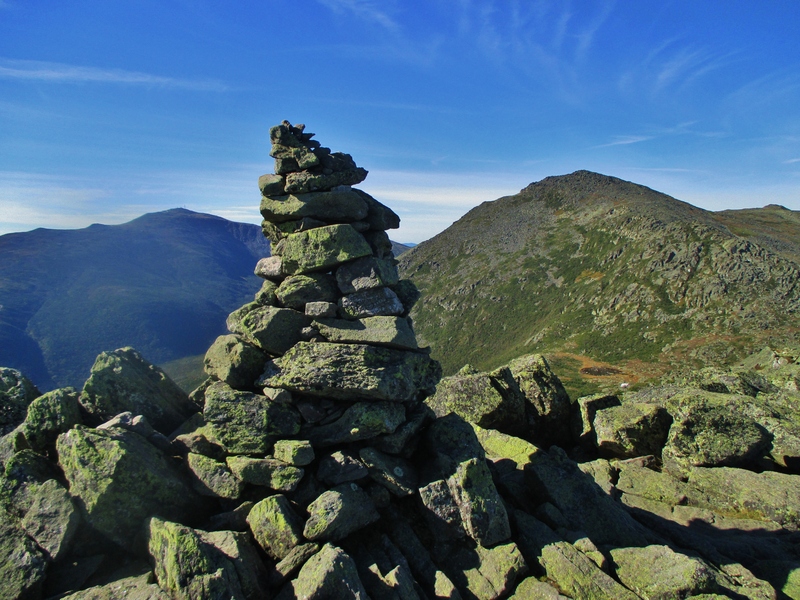 Sam Adams, I tried following some rock cairns to shortcut back down to the Appalachian Trail…but unfortunately, they led me to the edge of a nasty, steep boulder field. I made it down just fine, but this probably cost me an extra 15-20 minutes. 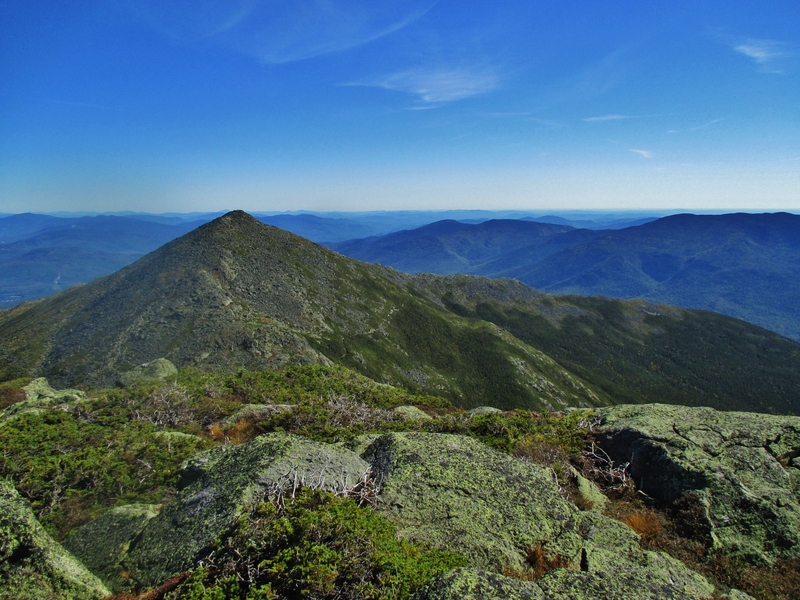 Once back on the AT, the trail descended to a saddle between the Adams group and Mt. Jefferson (5,712′). Shortly after starting up Jefferson, a side trail branched off leading to the summit. Somewhere between Mt. Jefferson and Mt. Clay (5,533′), I had the brilliant idea to clip a bag of beef jerky onto one of the carabiners on my shoulder strap. This meant constant snacking and no more stopping from here to Mt. Washington. Between Mt. Clay and Mt. 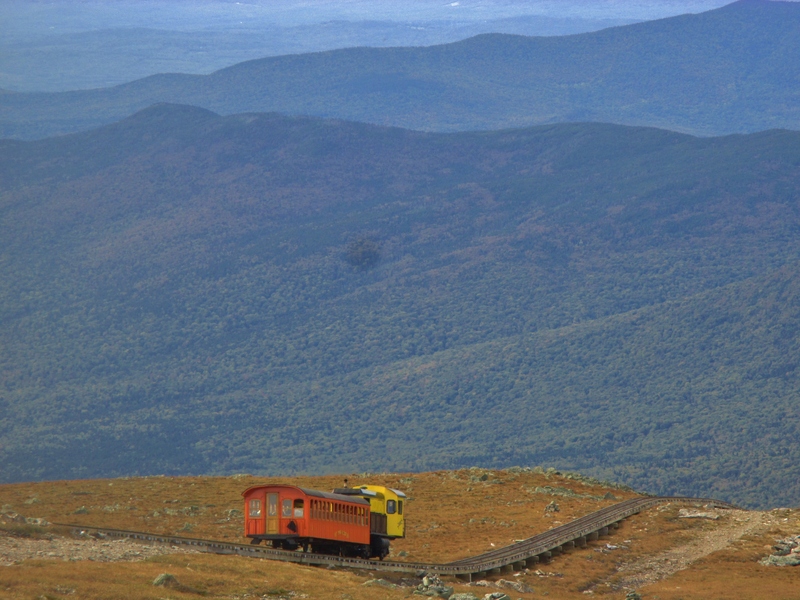 Washington, I crossed over the cog railway – a popular way for tourists to travel from the valley floor up to Mt. 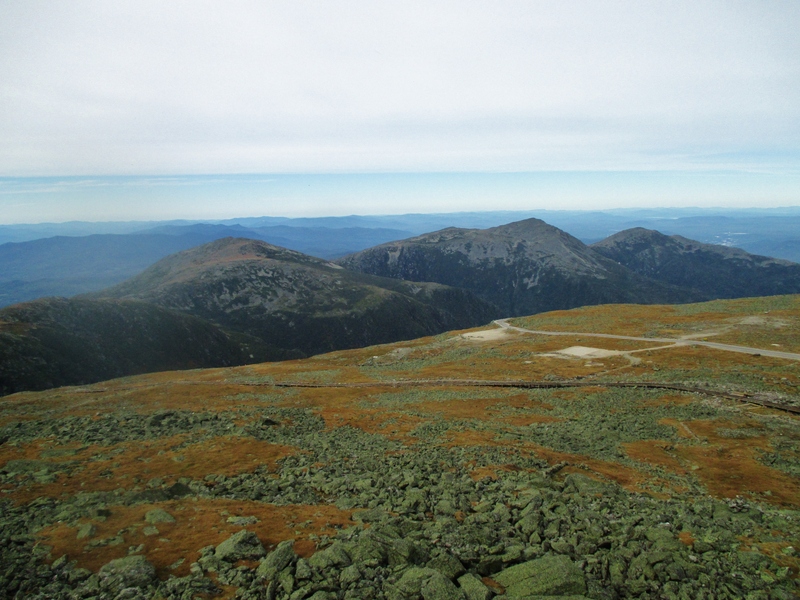 Washington (6,288′ – highest point in New England). There were lots of tourists at the Mt. Washington visitor center and observation deck, and I only stayed a few minutes before heading south again on the AT. 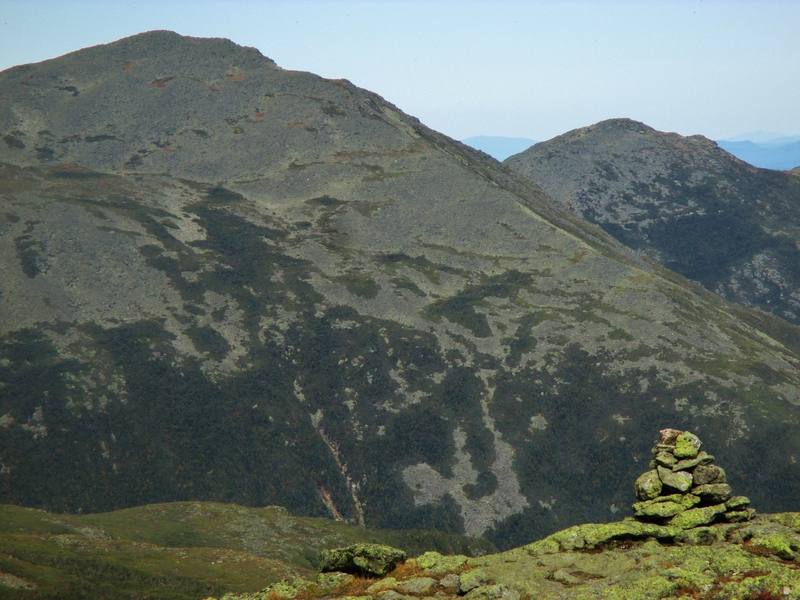 The southern Presidentials are definitely smaller and less rugged than the northern Presidentials. 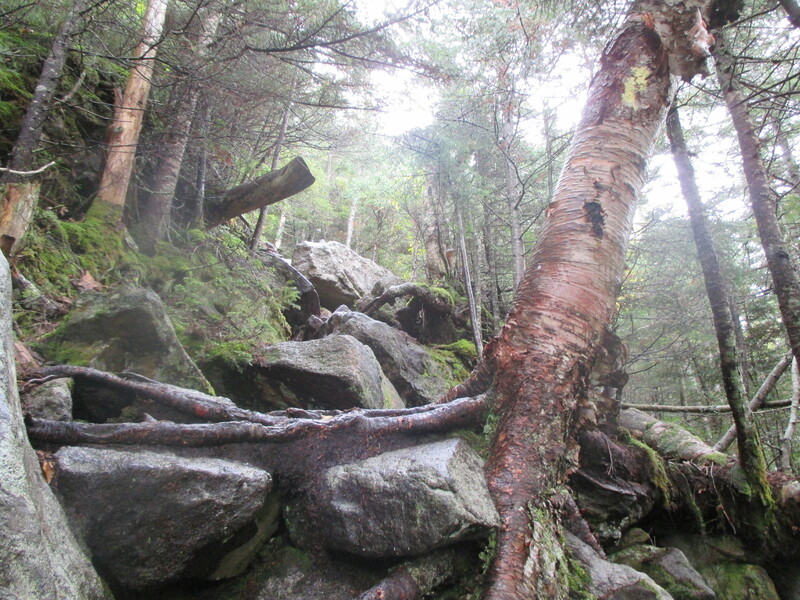 The trail was still rocky, but the rocks were flat and smooth rather than sharp and jagged. So I made much quicker time from here on out. 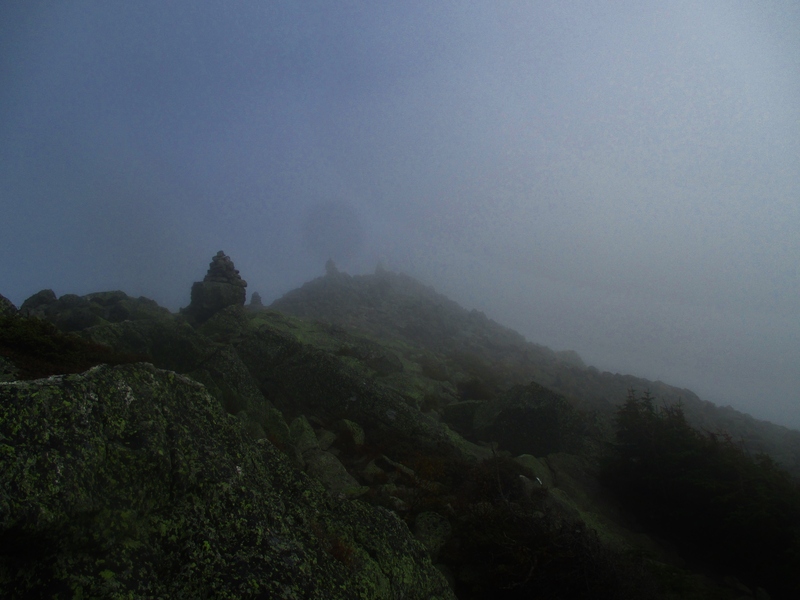 I stopped briefly at Lake of the Clouds Hut to refill water, then began the steep (but short) climb to the top of Mt. Monroe (5,372′). As you can see above, the trail south of Mt. Monroe made for a nice evening ridge walk. No more tough climbing to speak of. My next stop was Mt. Franklin (5,003′), a small sub-peak of Mt. Monroe, which can be seen to the far right in the picture above. 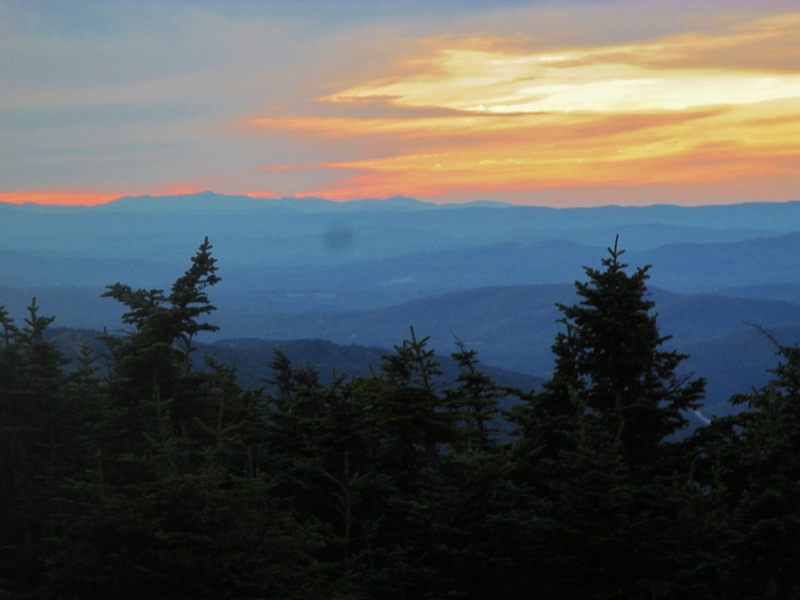 The sun was starting to move toward the horizon by the time I reached Mt. Eisenhower (4,780′), and my feet were finally starting to get a little sore. My final peak of the day was Mt. Pierce (4,310′). I think the summit was technically below treeline…but the vegetation was short enough and sparse enough that I was still able to see clearly. I rested for a few minutes atop Mt. Pierce, taking a little bit of satisfaction at how far away Mt. Jefferson and Mt. Washington looked from here. It seemed hard to believe I’d been standing atop them a few hours before. In hindsight, I wish that I’d stayed another 20-30 minutes on Mt. 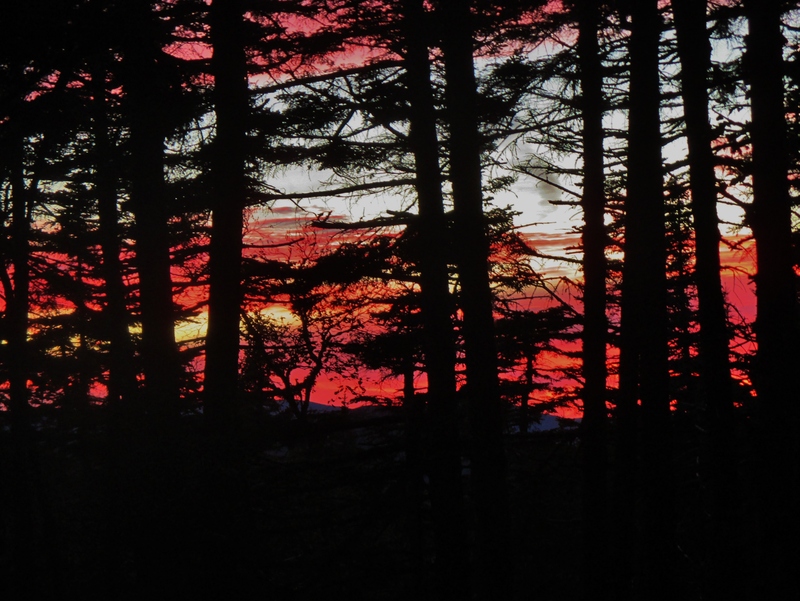 Pierce, because the sunset that evening was outstanding…and the best of it came when I was well below treeline. I could have snapped a few really impressive mountain/sunset shots had I just stayed put. 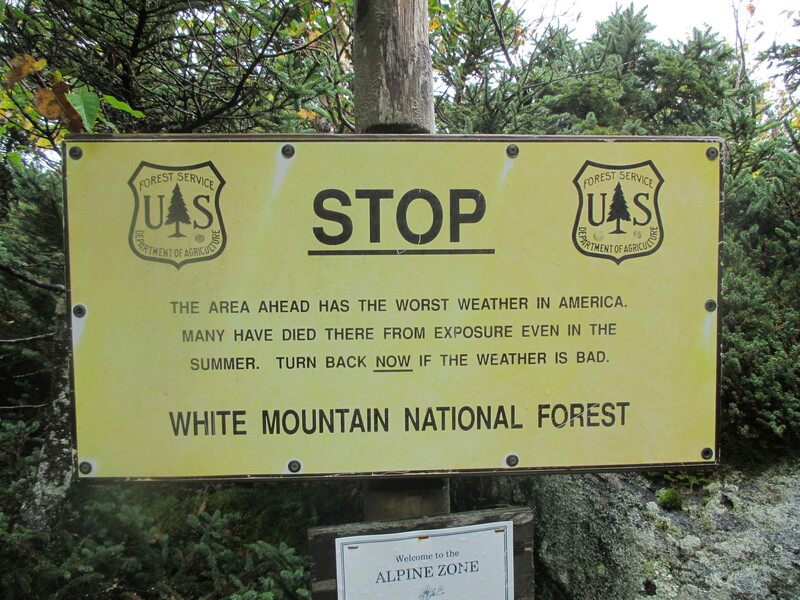 I returned to my car (near the AMC Highland Center) via the Mizpah Spring Hut and the Mizpah Cutoff trail. 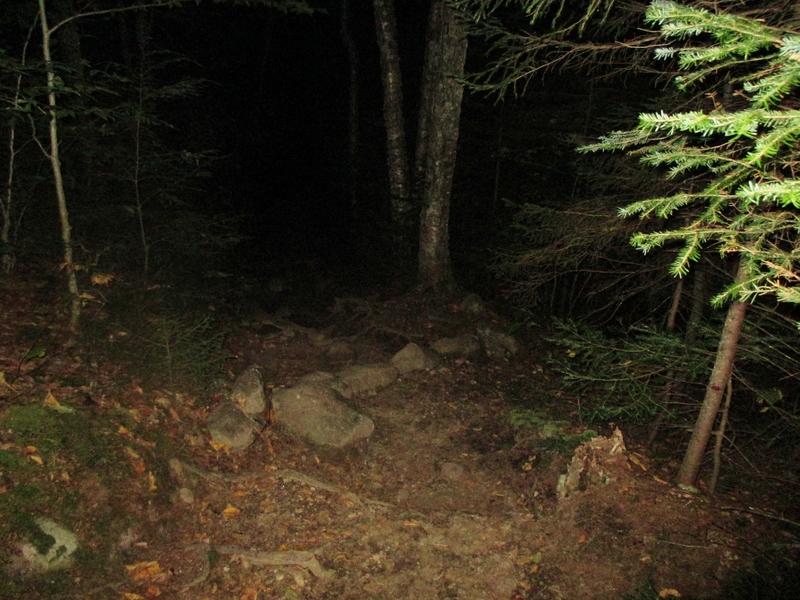 The last hour or so required a headlamp, and was only a little eerie. I made it back to my car with a final time of 12 hours 30 minutes. You can see the splits for each individual mountain below. 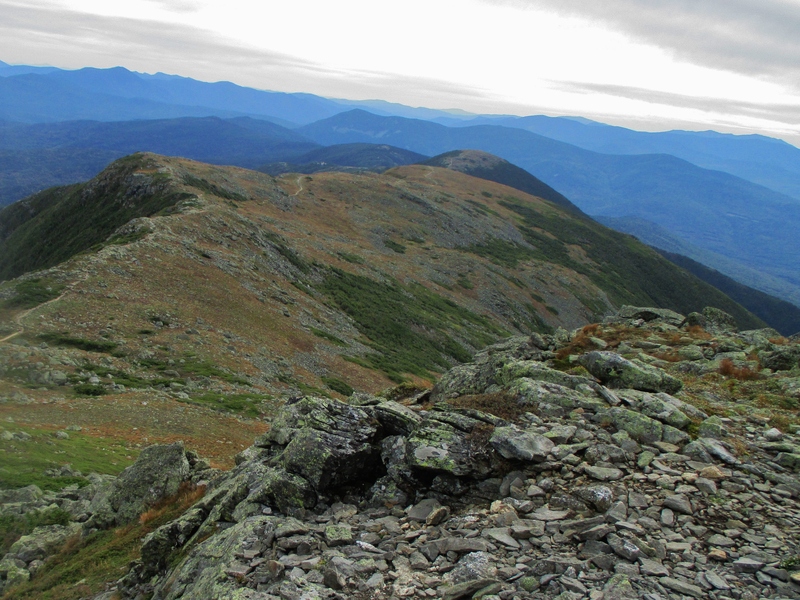 I had been planning to attempt the Presidential Traverse on 9/14/15 – a 22 mile trek across New Hampshire’s Presidential Range featuring 7-11 summits (depending on the variation) and roughly 9,000′-10,000′ of total elevation gain. 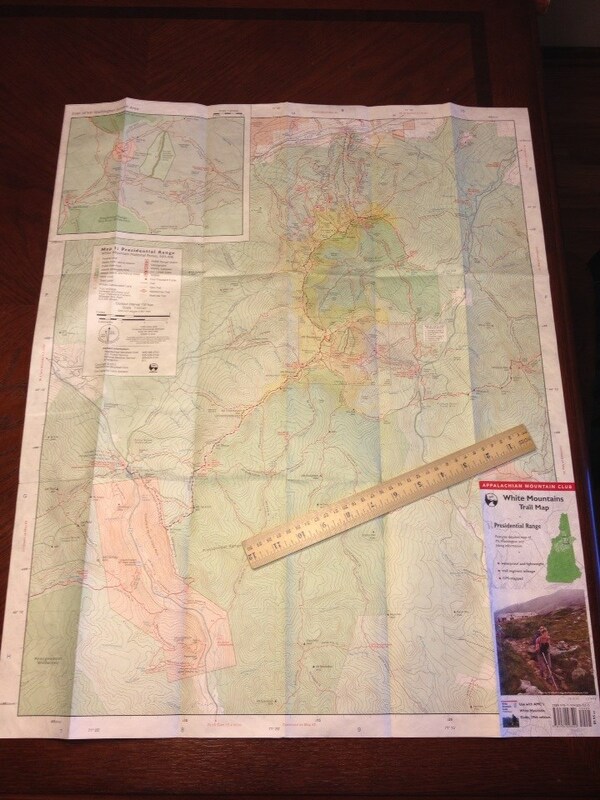 I called a week in advance to book a $23 one-way shuttle from the Highland Center to the Appalachia trailhead. During the preceding week, I checked the weather forecast on a daily basis. 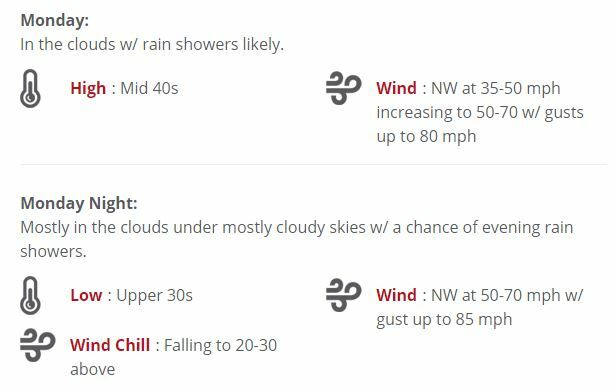 Twenty percent chance of rain…then thirty…then forty…then forty…then forty…then, the day before my hike, I checked the weather one last time, and saw a ninety percent chance of rain. This was the first of three unlucky breaks. With less than a day’s notice, I had no way of swapping shifts with someone to get a different day off. So instead, I figured I would reschedule for Monday, 9/21/15, since that was my last scheduled day off. A few minutes before turning in for the night, however, I double checked the AMC website and saw that the daily shuttle service only runs during the summer through 9/20/15 (unlucky break #2). At the very last moment, I reluctantly decided to make the attempt on 9/14/15 despite the bad weather. The morning was relatively clear, but the rain started to roll in shortly after the shuttle dropped me off at the Appalachia trailhead. I opted to take the Watson Path via Valley Way trail, which gains 4,100′ of elevation over 3.8 miles. 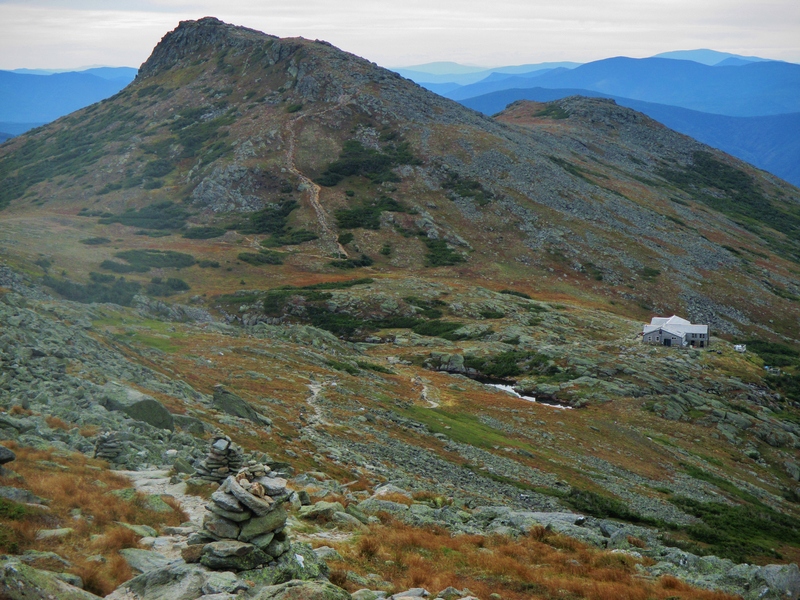 I started at a reasonably fast pace, making the summit in 2 hours 25 minutes. One thing I’ve noticed about the local trails is that they seem to avoid switchbacks like you’ll see out west. Watson Path makes a straight line directly up to the summit, which makes for some precariously steep sections. There was also an ominous-looking sign at the treeline. Shortly after topping out on Mt. Madison (5,367′), a fresh wave of rain and snow moved in and the visibility began to rapidly deteriorate. 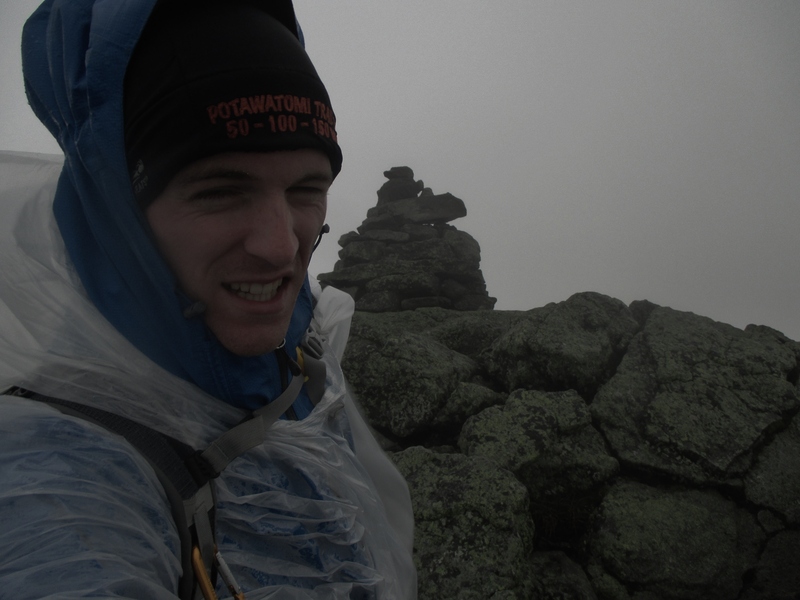 The rock cairns were spaced 40-50 feet apart, so the whiteout conditions made it very challenging to stay on course. I tried continuing onward toward Mt. Adams, but at this point it was pretty clear that the full Traverse wasn’t in the cards. My rain jacket and rain pants are only middle-of-the-road in quality, so my inner layers of clothing had started to become damp after about an hour of steady rain. I threw on a disposable poncho for an extra waterproof layer, but the wind ripped that to shreds in just a few short minutes. Halfway between Madison and Adams, I decided to bail back down to the Appalachia trailhead and catch a shuttle back to my car. I remembered reading that the last shuttle of the day came at 3:30 pm, so I made haste and reached the parking lot at 2:45 pm…only to realize I had read the schedule wrong. The last shuttle of the day had come at 2:35, and I’d missed it by ten minutes (unlucky break #3). So I had to spend $65 on a taxi back to my car. I still plan to attempt Mt. 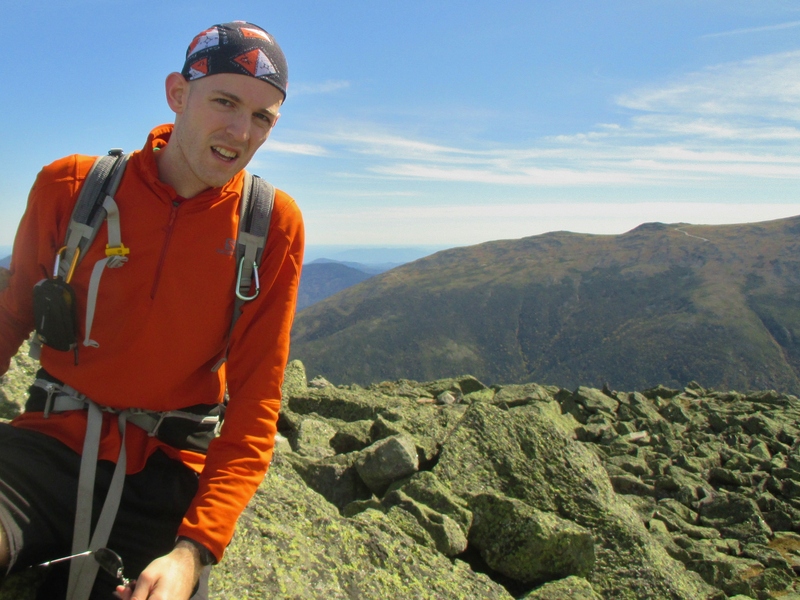 Katahdin next weekend, and might also make another trip out to the White Mountains to bag a few more peaks if time allows.